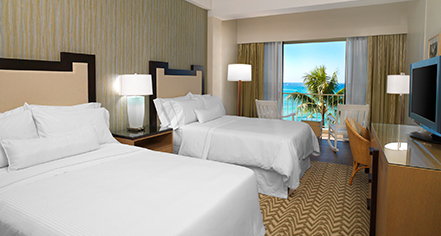 Located in the Diamond Wing, Diamond Deluxe Ocean guestrooms, which have either two double beds or one king-size bed, offer exceptional ocean views, while providing accommodations that elevate the senses. 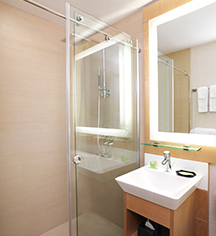 Featuring Westin's signature Heavenly Bed® and spa products, each room also provides a 32" LCD television, complimentary Royal Kona coffee and select Tazo Teas, refrigerators, and granite baths. These guestrooms have Juliet balconies.